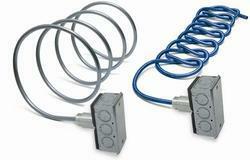 Our product range includes a wide range of hvac sensor. Our association is occupied with offering HVAC Sensor. These sensors are produced utilizing high-review segments and development innovation. Our extent is accessible in flameproof & weatherproof lodging. These sensors are encased with clear glass that gives better decipherability to the clients. Moreover, we tweak these sensors according to the obliged particulars of our customers.